I have multiple email accounts. Its pretty common for someone to have an account they use for their personal communications and one for their professional communications. “I believe in Christianity as I believe that the sun has risen. Not only because I see it, but because I see everything by it.” C.S. Lewis. Being a marketing professional I have always felt that your email signature should be used to say something about who you are and give the recipient a way to connect with you. So for a business email address it’s a great way to display your company logo, contact information, and a few links to your social media profiles. That way if the person you are emailing is a client or vender then they can follow you and have a way to leave you a review. On a more personal side I thought I could put something in there that allowed someone to look into the window of my life for a brief moment and possibly understand me a little more. This quote has been really important to me for a long time. As you should already know I am a Christian. I have always looked at life through the light of scripture. What quote defines the way you think about the world? Would you be willing to put that in your email signature? A worldview is a set of beliefs used to understand the world. Everyone has a worldview. 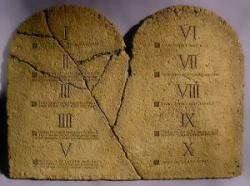 Everyone has a set of principles by which to judge right and wrong, and which guides them in everyday living. You stop at a red light, go at a green. You leave a tip with a waiter or a waitress. You try and color coordinate your clothes. You voice your order for food to a speaker box while sitting in your car. You cast a vote for a political leader. Why do these things? Because you are accustomed to doing them in a manner that is consistent with what you believe. In other words, you behave according to your worldview. Your worldview forms the basis of how you interpret reality. Your world view is a lens through which you look at the world. Your worldview shapes your moral opinions. It affects what you believe about God, marriage, politics, social structures, environmental concerns, educational requirements, economics, the raising of children, what kind of foods to eat, etc. It affects everything, because all of that which is around you and all of that with which you interact must be interpreted and must be understood in light of your worldview. Why the difference in results? People have different worldviews, different opinions about God, man, purpose, life, right and wrong. There are some basic philosophical questions that most everyone in the world wonders about. Generally speaking, it is the answers to the following set of questions that guide how the next set of questions are answered. First, let’s look at the philosophical worldview questions.